I've been getting some flack from my friends for not reviewing any Hialeah restaurants. 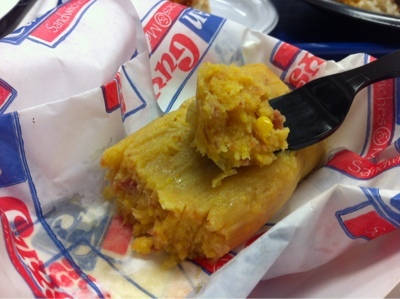 The truth is, the variety of food in Hialeah is rather limited and the bulk of restaurants offer primarily Cuban food. Let's be honest, reviewing a cuisine that is so near and dear to the majority of the city's residents is no easy task. Everyone's tio makes the best Lechon and everyone's abuela makes the best arroz con leche ever, so great Cuban restaurants in Hialeah are extremely subjective. None the less, one of my new year's resolutions is to make an active effort to write more about restaurants from my home town. 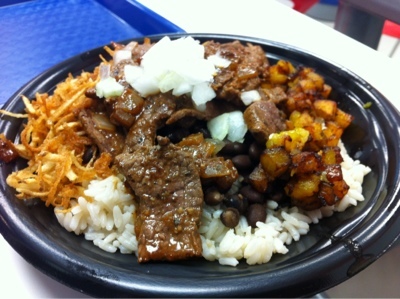 I had seen a couple of tweets about a brand new restaurant offering Cuban favorites at a fast food pace. I decided to head into Hialeah gardens and give the place a shot. The restaurant's decor was simple and it had a fast food layout. The music playing on the stereo were Hialeah basics, you know Pitbull, Daddy Yankee, Marc Anthony and the like. Their menu is laid out on a large tv on the wall next to a sign that reads, "Not just fast food, it's awesome food fast." I decided to keep it simple and had their Pan con Bistec with a side of plantain chips. 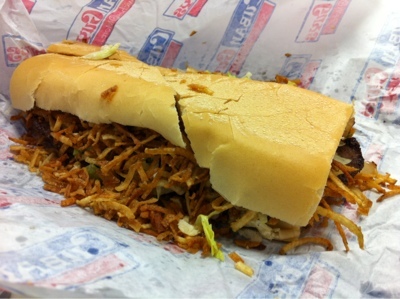 The pan con bistec was enormous and piled high with a palomilla steak, real deal crispy potato sticks, shredded lettuce, a tiny bit of mayonnaise, thinly sliced tomatoes, and grilled onions in lightly pressed Cuban bread. The steak was perfectly grilled and seasoned. The crispy potatoes were fresh and homemade. This was easily one of the best pan con bistec sandwiches I've had in a really long time. I inhaled this bad boy and didn't think twice about that pesky new year's resolution to lose 20 pounds. On a second visit I decided to give their bowls a shot. 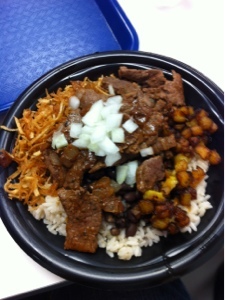 Similar to a cubanized Chicken Kitchen's chop-chop; it's served with your choice of protein, white rice, black beans, fried sweet plantains and more of those awesome potato sticks. I decided to have steak as my protein, since it tasted so good in the pan con bistec. Again, the steak was perfectly seasoned and ridiculously flavorful. 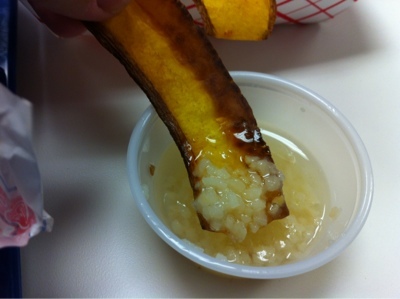 The sweet plantains were chopped, which was a nice variation to how they're typically served. The potato sticks added a nice crunch to each bit. My only qualm was that the beans and rice were really under-seasoned for my particular taste. I found that unless I had a piece of steak with each bite, there wasn't a lot of flavor going on. It's nothing a little salt and pepper wouldn't fix, so hopefully they'll correct it. 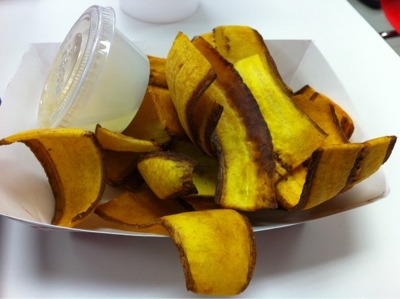 I also had a side of their fried plantain chips. Their made fresh in-house and are cut slightly thicker than usual but still manage to have a great crunch. They're served with a small side of mojo that is perfectly garlicky just how I like it. I would've loved a whole bucket of the mojo because it was seriously that good. 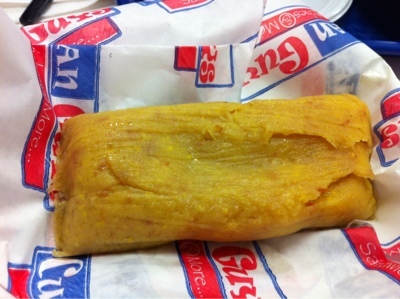 I also decided to try their tamal. Flavorwise, this bad boy was on point. The pork and corn was perfectly seasoned and tasted great. My only issue with this was that it was served at room temperature, which is a complete shame. Had the tamal been nice and hot, it would've been a lot better. None the less, it's something small that this place can definitely tweak and correct. Onto their desserts, this place has some amazing flans. 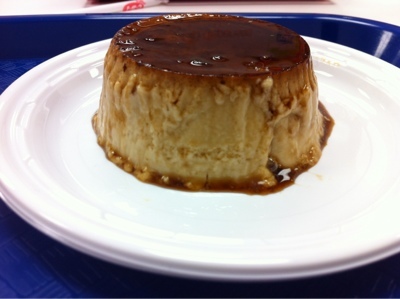 They offer a cappuccino flan that has a nice hint of coffee throughout the really creamy flan. If you're a coffee and sweets lover, then definitely give this a try. I loved this variation of flan and was definitely addicted at first bite. 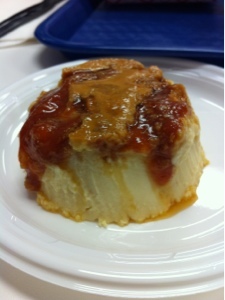 I also tried their guava and cheese flan, think of a pastel de guayaba y queso without the pastry dough. 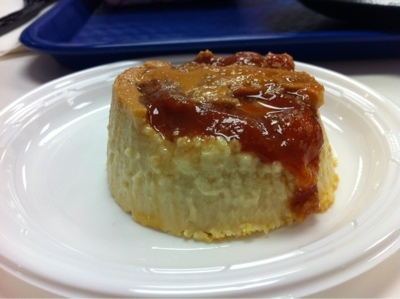 This flan is primarily a cheese flan with rich guava over the top. 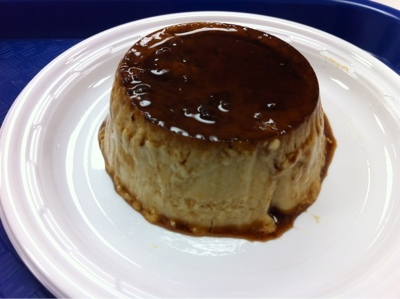 This flan is very sweet but completely delicious. Both flans I'd have again in a heart beat, they were a different and neat twist on this Cuban staple. 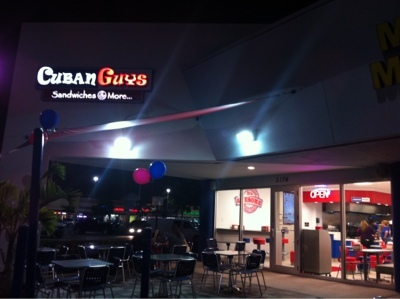 I really liked this place over all and liked the concept of offering fast Cuban food. Definitely check this place out for the sandwiches and their flans. This place is brand new and has the potential to fill a hole in Hialeah with their fast food approach. Wishing them the best of luck. Wowwwwww! Great and explicit review of the best Cuban Fast Food restaurant, and by far the only one known. We were also very impressed by their fancy simplicity, but yet the quality of all of their products. A real deal all around. Thanks for the great pictures they illustrate a basic reality and the appeal of their quality menu. CUBAN GUYS RESTAURANT, it is really AWSOME!! !